In their new year messages both Hereford United chairman David Keyte and manager Jamie Pitman have asked supporters to give behind the team starting this afternoon at Edgar Street where Torquay United are the visitors. "We have four home fixtures in January and need the people of Hereford to come out and support us," said Keyte. "We need everybody to get together, the players and the fans," said Pitman. With just one home game in the last seven weeks and the team bottom of League Two, a good gate this afternoon and, more importantly a win, would be a great start to the New Year. All the reports from the Bulls last game at Wycombe suggest that they were very unlucky not to take something from the game. And with Ryan Green back in the starting eleven this afternoon the defence will be that little bit stronger. Every reason to get to Edgar Street by 3pm and watch the game. The three-times postponed FA Cup game between the Bulls and Lincoln is causing clubs a new financial headache. Thanks to an FA rule of not paying out prize money until all ties in a particular round have been completed, the winners of the other ties are still awaiting their £27,000 prize. The delay is adding to the problem of postponed games, as Leyton Orient chief executive Matt Porter told their local press: "The FA Cup run has helped mitigate the loss and we will not have to press the panic button, but the loss of three successive home games is almost unprecedented. "The FA do not pay the money out until the second round is completed and there is still an outstanding fixture between Hereford United and Lincoln to be played, so no-one gets their cash until that tie has been played and the same applies to the television money. "Our last home game in the league was back on November 20 and that big gap has hit our cash flow." So it's not just the Bulls and Imps that want to get that game out of the way. Jamie Pitman has told BBC Hereford and Worcester that he hopes the deal with striker Guillem Bauza can be extended. "Bauza's deal runs out in the middle of January," said the Hereford United manager. "We're in talks about that, discussing it with him and his representative. Pitman also spoke about the extension to Joe Heath's loan. "Joe Heath's loan is extended for another month which is excellent news. "He's come in and done a pretty consistant job so I'm happy with that." Pitman hasn't ruled out new faces at Edgar Street in the next few weeks. "There'll be some activity as long as financially the club are able to do it. "We are bottom of the league and we need to keep improving and to do that maybe it is a case of getting in a few new faces." With the change in VAT rate due to be implemented on Tuesday, there is still time for Bulls' fans to beat the rise by buying a half Season Ticket or a six-game ticket pack. The Club office will be open between 11.00 am and 3.00 pm on Saturday before the Torquay game. Seated tickets for the half season are £145 for adults with concessions at £110 and Junior Bulls at £40. Terrace tickets are priced at £130, £90 and £40. The twelve-match tickets represent a saving of £35 for seats or two free games for a terrace place. A six-game pack ticket for a seat in the stands represents six games for the price of five. Former Bulls winger Matt Done has signed a contract extension with Rochdale to stay at Spotland for the rest of the season. The 22 year old agreed a deal to the end of the year in the summer but, according to boss Keith Hill, he has earned his extension: "Matt has had limited opportunities but when he has come on or started a match he has done well and has earned this extension to his contract." The former Wrexham man has started only three League matches and one Johnstone Paint Trophy game, making nine sub appearances and scoring twice. On-loan Bull Sam Malson is expected to miss tomorrow's game for Redditch due to illness. The rock-bottom Conf North side lost 3-1 to Telford earlier in the week without Malsom in their ranks, but they did include ex-Bulls Jordan Fitzpatrick and Wayne Dyer. Meanwhile former loanee Paul Downing has ended his loan stay at Rotherham early due to injury. The teenager was brought to the club due to a series of defensive injuries but never played a game. This is a reminder to get your predictions in for upcoming matches against Torquay and Aldershot. Can Hereford claim their first home league victory of the season against Paul Buckle's men? And what will be the outcome when United meet their old Conference rivals at the Rec? To enter the Bulls News Prediction League, send in your final score and attendance predictions to bullsnewspredictions@hotmail.co.uk . Please remember to include your chosen username. The deadline for tomorrow's match is at 2.30pm. David Keyte, the chairman of Hereford United, has said that the club are spending £35,000 per week and will be pleased to take some cash tomorrow in the first home League game to be played since November 13th because of the bad weather. "In a way, the weather is giving us a chance to regroup and get everybody fit," Keyte told the Hereford Times. "But we are still spending £35,000 a week. "We had some money in the bank and we have sorted out the leases so it’s been eating out of the cash balance. We have four home fixtures in January and we need the people of Hereford to come out and support us. "We need to get on a bit of a run and get our first home win of the season." October starts with the return of Tony James to the Bulls defence. However a certain former landlord puts more effort into his post-match radio rant than the team does on the pitch at Barnet and Simon Davey pays the price after just ten games. Jamie Pitman is put in temporary charge, with his first game a JPT loss to Exeter. He gets a draw against League leaders Port Vale with the Meadow End fully backing the side. Lennie Lawrence becomes one of many odds-on favourites to be the next manager, then that game at Northampton happens and Pitman is touted as a long term candidate. A draw against a stubborn Accrington side is followed by the return of Rob Purdie and a thumping of Stockport. Some of the deadwood is cleared out with Samba Kanoute, Amadou Rabihou, and O'Neill Thompson all leaving Edgar Street. November opens with a 2-2 draw with Aldershot that sees the Bulls leave the drop zone. Dan Connor undergoes hip surgery in a bid to cure his ongoing injury problem. Hythe Town are comfortably swept aside in the FA Cup, but the increasingly familiar note of poor finishing stops the game being an absolute rout. A 1-1 draw in the League with Cheltenham follows but it's their last point of 2010 as the wheels come off with a 3-1 loss at Lincoln and things only get worse. A 2-2 FA Cup draw with the Imps follows before losing at Shrewsbury heavily. Joe Heath and Matthew Lund join on loan. December sees the club regain the leases to Edgar Street from the Richardsons, but on the pitch things get worse. Between postponements, six in total, the Bulls lose both their away trips to Bradford and Wycombe by the odd goal after dominating both games for long periods. Both opposing managers admit they were second best and grateful to win. Lennie Lawrence comes in as technical director to assist the rookie boss. Torquay United manager Paul Buckle is hoping that his sides 21 day break from Football League action won't have affected them too much when they take the field at Edgar Street tomorrow afternoon. "It's been frustrating and it's come at the wrong time for us as we were on a very good run," Buckle told this is Devon. "Sometimes you welcome a break but we certainly didn't welcome this one and we are looking forward to getting back to business on Saturday at Hereford. "Everybody is fit and well. We will have one more training session (this morning) before we leave. "Hereford are fighting for their lives at this moment in time, but so are we — we've got lots to fight for. "We need to go there and be positive, and try to win the game. "We won't be holding back and we are going to be desperate for the three points." Hereford United's new techincal director, Lennie Lawrence, is hopeful that the Bulls can register their first home win of the season against Torquay tomorrow afternoon. "On the first day of 2011 it would be very nice to kick-off with a win for many reasons," said Lawrence as reported by the Worcester News. "We will have to wait and see but we will be giving it our best shot. "The players are working hard but we have to try and take that into the game. "We haven’t won a home league game so it’s obvious the sooner we do that the better it is. Tomorrow would be a great time to start." The Bulls face Torquay on New Years Day in their first home fixture in over a month. The Bulls' 1-0 home win against the Gulls in February at Edgar Street was their first over the Devon side in seven matches. Gavin McCallum's goal was enough for revenge after losing at Plainmoor on Boxing Day, with the previous three matches all being drawn. The draw is a regular feature between the two sides, with each team winning 16 historically and 23 draws. Having lost home matches against Morecambe, Macclesfield, and Northampton since drawing against Lincoln in the FA Cup the Bulls will see some welcome revenue through the gates. It will be the first time the home crowd will see the influence of Lennie Lawrence on the team and tactics with a reintroduction of a wing-back system at Wycombe. Ryan Green's return from suspension will aid the system given his successes in the role during the Conference years, but his appearance will be in place of Rob Purdie after his injury ruled him out of both this match and Monday's trip to Aldershot. The Gulls currently lie eighth in the table but, such is the tightness of the table, they sit just three wins clear of the drop zone. Their biggest problem at the moment is retaining their current staff, with striker Elliott Benyon and manager Paul Buckle both being linked to greater things. Nine goal Benyon has already been the subject of a failed bid from Dagenham, while Buckle remains favourite for the Bristol Rovers job. The Gulls haven't played since a 1-0 loss at Chesterfield on Dec 11th, with Buckle reporting a fully fit squad. Hereford United vs Torquay United, Edgar Street, Saturday 1st January, 3.00pm. Lincoln say they won't be trying to resign ex-Bull Josh Gowling after his loan spell at Sincil Bank. The Gillingham defender has played in the Gills last two games and Imps boss Steve Tilson doesn't believe he's still for sale, but he will be chasing an experienced central defender in January. Departed Notts County striker Luke Rodgers has been granted a US visa after an appeal and is expected to complete a move to the MLS in January. Cheltenham chairman Paul Baker has questioned whether Gloucestershire wants a Football League side after recent gates plummeted. He warned fans that they will have to slash the budget dramatically next season if gates continue to fall. Crewe have extended the contract of goalkeeper Bartek Fogler until the end of the season. The Pole is third choice at Gresty Road, but they are to let second choice Steve Phillips out on loan. Port Vale have put Geoff Horsfield in caretaker charge of the side, with bidder Mo Chaudry telling the press he should be the one to pick the next manager. Horsfield is the bookies favourite for the job. The Valiants are also giving a trial to veteran winger Lloyd Owusu after he returned to the country following a spell in Australia. Wycombe have confirmed the signing of midfielder Scott Donnolly on loan until the end of the season from Swansea. Chesterfield have released three youngsters given short term deals at the start of the season. 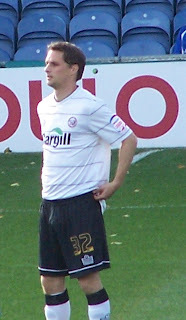 Defenders Chris Tingay and Ryan Granger and midfielder Jimmy Adcock all failed to make a single appearance in the first team. Plymouth have released coach Paul Mariner from his contract by mutual consent after the former England striker found a job with another as-yet unnamed club. The Pilgrims say Peter Ridsdale is not being paid for his work with the club. They have been forced to sell midfielder Craig Noone to Brighton due to their financial situation. Macclesfield will not receive a fee for midfielder John Rooney after he virtually sealed a move to the MLS. The out of contract man is under 24 but no fee is payable on cross-border transfers. Shrewsbury's hopes of extending the loan of Bristol Rovers winger Mark Wright have virtually ended after the Pirates decided they only want to sell the player. The two-time player of the month will command a fee, something that Graham Turner is unwilling to match. Oxford have signed veteran midfielder Paul McLaren until the end of the season. The 34 year old was released by Tranmere in November. July opens with the signing of Sean Canham, Dan Connor, O'Neill Thompson, and Stuart Fleetwood in the first two days. Next up is two departures, with the deeply unpopular Lindley Catering shown the door while club accountant Hugh Brooks leaves the board with David Keyte taking over the books. The pre-season friendlies open with a comfortable, if surprisingly goal-short 2-0 win over Ledbury before Swansea are beaten 2-0 in a game that suggested the Bulls were a very capable unit. Sam Malsom and Michael Townsend pen Edgar Street deals before news of a failed move for Toumani Diagouraga. Daniel Stratford joins on a one year deal before the Bulls lose to Swindon. Sam Gwynne resigns after his summer release, with the Bulls then winning at Telford before hammering Lydbrook.After a narrow loss to Plymouth Joe Colbeck signs from Oldham. Pre-season ends with a 6-2 win at Neath. August's first act is the appointment of Janos Kovacs as captain. Samba Kanoute agrees a deal at Edgar Street joining youngsters Zac Evans and Aidan Thomas in the 21 man squad. The season opener sees a raucous Bulls support cheer on a 1-0 win at Crewe. It's back down to earth with a bump as Colchester win 3-0 in the Carling Cup. Adam Stansfield dies at the age of 31 after a battle with cancer. The home match with Gillingham sees Exeter fans in the home end but no goals. The Bulls get £60,000 out of a tribunal over Marc Pugh's move to Bournemouth, but nothing from their trip to Chesterfield but a 4-0 tonking. Russell Hoult is appointed as the Bulls' keeper coach, while a temporary stand will be erected for the season at the Blackfriars End while the club seek a larger development than originally planned. The Bulls lose at home to Rotherham and sign Dominik Werling and Amadou Rabihou as the transfer window closes. Aldershot on Monday 3rd January 2011, depart Radford’s at 10.00 am with a fare of £13 (non-members £15). Lincoln (FA Cup replay) on Saturday 8th January 2011, depart Radford’s at 9.00 am with a fare of £19 (non-members £21). Seats can be booked in Radford’s before the Torquay match on New Years Day or through the Club office (08442 761939). Port Vale have confirmed that manager Micky Adams has left the club to join Sheff Utd. The former Leicester boss leaves after 18 months at Vale Park, signing a two and a half year contract after the two clubs agreed an undisclosed compensation fee. He won 35 of his 81 games in charge, leaving the Valiants second in the League Two table. Torquay United manager Paul Buckle has been linked with the vacant managers job at Bristol Rovers. "Paul Buckle has been given quite a bit of backing in the last few days," said Victor Chandler's Dave Jenkins. "He's not one that was initially in the running after Paul Trollope left the club, but he has been the most significant mover in the field this week. "Paul Buckle or Dean Holdsworth appear to be the most likely to succeed Paul Trollope at the moment, but we think that the market may well start to take a different shape once Bristol Rovers start playing games again." Buckle's price is even lower with SkyBet - 5/2. Whether the publicity about the Torquay manager being linked with the Bristol Rovers job will have any effect on his squad when they meet Hereford on Saturday remains to be seen. A price of 12/5 is being offered by Victor Chandler for a victory by Hereford United over Torquay on Saturday. Most other bookies have the Bulls at 2/1 to win. As regards the result a 1-0 win for the Bulls is 9/1 at Coral. A 2-0 win for the Bulls is 19/1 at Betfair. A 2-1 win for the Bulls is 11/1 at several bookies. A 2-2 draw is 16/1 at William Hill, SkyBet and Bet365. To be first scorer of the game Stuart Fleetwood is 13/2 with SkyBet, and both Mathieu Manset and Guillem Bauza are 15/2 with Paddy Power. The Bulls expect Saturday's game with Torquay to go ahead. Vice-Chairman Tim Russon told Devon paper the Express and Echo: "The covers have been taken off the pitch now, and all the snow has thawed. It's very grey, foggy and damp here, but we've been able to work on the pitch. And we are going to leave the covers off now to get some air into it. "The forecast is for no more frost for the next few days. So, unless the forecast is drastically wrong, it's 'All Systems Go'. We'd be delighted to see as many Torquay fans here as possible on Saturday." The Bulls will train in Ludlow today as the local facilities are out of action. As a result the official site reports that today's planned Junior Bulls Christmas Party has been postponed. Two former Bulls are in the running for the Bristol Rovers job according to bookmakers, with Jimmy Harvey a 12/1 shot and Simon Davey 20/1. A Southend insider has told the local press that the club is struggling with cashflow after having three home matches postponed in recent weeks. Lincoln say the loss of the New Year game with Bradford will cost them £25,000. Lincoln defender Moses Swaibu has been arrested and released on Police bail after being accused by Tesco security staff of stealing a cooked chicken. Crawley are reported to be vying with Southend to sign Peterboro midfielder Josh Simpson who, until recently, was on loan at Roots Hall. Port Vale manager Micky Adams is set to be offered a deal by Sheff Utd that is four times his current wage at Vale Park. Aldershot are claimed to have offered striker Marvin Morgan to Crawley, while the Conference side have been turned down by Burton's Shaun Harrad with the player's agent seeking a move to a Championship side. Former Bulls loanee Jon Sheffield has joined Yeovil as their new goalkeeper coach. The 41 year old played eight times on loan at Edgar Street from Cambridge in 1994 and finished his playing career with Yeovil six years ago. In a lengthy statement Kettering say they have rejected takeover proposals from two parties, and also ended merger talks with Rushden due to fan opposition. They add the current wage bill is unsustainable and will have to be cut further as well as ticket prices rising in January. Peterboro striker Liam Hatch, currently on loan at Darlington, is reported to have agreed a permanent departure from London Road - but the Quakers is not his destination. Gillingham have agreed an 18 month deal with midfielder Danny Spiller. The former Millwall man has rejected a move to the US to stay at Priestfield. On Monday BN mentioned that a decision whether Guillem Bauza's time with Hereford United might be extended was yet to be made public. Another player whose future is also not clear is Rob Purdie. In theory he is due to return to Oldham by January 29th as his loan spell with the Bulls will have ended. However Purdie has said that there is no place for him at Boundary Park and when he agreed to join Hereford it was with the hope he might secure a contract. "I'm not here to play games to get fit to go back to Oldham," said Purdie. "I don't have a future at Oldham whether I score twenty goals or two goals on my loan spell. It doesn't matter. "I just here to win myself a contract and do well for Jamie." It's thought that Oldham will not require a fee for him. In fact they would be happy to get him off their books. Yet Purdie is almost certainly on better money with the Latics than he would be with the Bulls so he might face a simple choice of stopping with Oldham or moving to Edgar Street on, perhaps, half the money he is currently receiving. That, of course, presumes that manager Jamie Pitman is happy with Purdie's time to date. In two months he has made seven appearances for the Bulls scoring four goals including two on his debut at Stockport. S J Rushton from Staffordshire has been appointed to referee next Saturday's game at Edgar Street where Torquay will be the opponents. The Bulls have already met Rushton this season, he was in charge of the home game against Rotherham on August 28th which the Bulls lost 1-0. Five Hereford players were booked that afternoon - Ryan Valentine, O'Neil Thompson, Kenny Lunt, Stuart Fleetwood and Sean Canham - and also four from Rotherham. Then manager Simon Davey wasn't happy. To date this season Rushton has refereed 16 matches and has dealt out 54 yellow and 3 red cards. Meanwhile GL Ward is due to referee Hereford's game at Aldershot on Monday. Stockport beat Barnet 3-1 to ease their relegation worries. The Hatters move up to 23 points, four ahead of the Bees and eight clear of the Bulls. Both Oxford and Gillingham move into reach of the play-offs after wins today. The Gills beat Port Vale 3-0, while Oxford beat Macclesfield 2-1. Bradford's indifference continues after they lost 4-0 at Cheltenham, with the win pushing the Robins into the play-off spots. In the Conference AFC Wimbledon move three points clear after beating Eastbourne 3-0. Newport move second after a 3-2 win at Kidderminster, but they've played two games more than the Wombles and four more than Crawley, who are a point behind. Forest Green beat Bath 4-2 to move three points clear of the bottom four. Bulls loanee Joe Heath has extended his spell at Edgar Street into a second month, the club have confirmed. The Exeter defender has played in all three games during his first month and will remain at Edgar Street for up to seven more games during the second month. Ex-Bull Jamie Tolley has been offered a new contract with Wrexham. The midfielder's current deal expires in three days but he has made 16 appearances for the Dragons since joining them in the summer. Wycombe are reported to be on the verge of signing Swansea midfielder Scott Donnelly until the end of the season. The former Aldershot man played under current Wycombe boss Gary Waddock but is yet to play a Championship game since a summer move. Plymouth chairman Sir Roy Gardner has quit his role, claiming he wasn't consulted properly over the boardroom changes that saw ally Keith Todd leave the board. The locals respond that Gardner hasn't seen a game this season and is a rare visitor to Home Park. Dave Penney is being linked to the vacant managerial position at Motherwell after missing out on the job at Mansfield. Oxford have recalled striker Jack Midson from his loan spell at Southend. He scored twice in six games for the Shrimpers but may return in the New Year after the two sides play each other. Steve Guinan has signed for Forest Green permanently until the end of the season. So far he has only made one sub appearance due to postponements. With no match for Hereford United this afternoon we go back to December 28th 2002 and a Conference home game against old rivals Forest Green Rovers. Hereford: Matt Baker, Matt Clarke, Rob Sawyers, Andrew Tretton, Tony James (captain), Ben Smith, Rob Purdie, Danny Williams, Steve Guinan, John Grant, Paul Parry. Subs: Ian Wright, Ken Griffiths, Richard Teesdale (on 79mins), James Fox, Michael Husbands (on 66mins). As at 10.30am four League Two matches are set to go ahead this afternoon. Meanwhile the thaw continues in Herefordshire and so the New Years Day game at Edgar Street between the Bulls and Torquay should go ahead. Guillem Bauza's current deal ends shortly but nothing has yet been confirmed about any extension to his spell with Hereford United. The striker was looking to put himself in the shop window when he signed for the Bulls after being released by Swansea. Simon Davey, then manager, was pleased with the arrival of the Spaniard. "He's a player of good calibre but he lost his way," said Davey. "He's a good acquisition for us. He's player who will bring a goal threat. Not only that he's a creator." Bauza proved the point with a penalty at Bury on his debut on September 18th. Buaza broke into the Bury penalty area and as he shaped to shoot from about 8 yards had his leg hooked away by Picken. The Spaniard grabbed the ball himself and coolly side footed passed Belford. Although that's the only goal he has scored to date, he has been provider for others on several occasions. However it's questionable just how fit he has been at times as he had a spell out during late October and November with a groin injury. He came on as a sub in the away game at Stockport on October 30th after missing the previous game against Accrington. However it was too soon. "Maybe we forced him a little bit, he's just tweaked it again," said manager Jamie Pitman after the game. He played no part in any game until the visit to Shrewsbury on November 23rd and then only as a sub. When Bauza arrived at Edgar Street it was felt he was looking for a position with a higher level club. It was also noted that he was studying at Swansea University so would not want to be based too far away. However, as yet, he probably hasn't done enough to attract interest from elsewhere. So, always assuming Jamie Pitman and Lennie Lawrence feel he's worth another deal, it looks as though he might stay to the end of the season. And, hopefully, Bauza's best is still to come. Because of recent postponements, Hereford United are due to play eight games in January starting on New Years Day with the visit of Torquay. However should Hereford United defeat Lincoln in the Cup Replay on January 8th, then they will travel to Wycombe for the third round tie on Tuesday January 11th. This would mean that the game at Port Vale would need to be re-arranged. And should Hereford win or draw at Wycombe then there will be other changes. Whatever happens February will also be busy with six games already scheduled including the postponed home game against Macclesfield which was due to have been played on December 18th. It will now take place on Tuesday February 8th with a 7.45pm start. Hereford United's game against Northampton which was due to take place tomorrow has been postponed as the pitch is still frozen. The next home game is on Saturday, New Years Day, when Torquay are the visitors. In a match where, particularly in the first half, United outplayed the promotion chasing Chairboys they still lost out to goals from veteran Gareth Ainsworth and a late Ben Strevens winner after Mathieu Manset had struck a deserved equaliser with his eighth of the season. Manager Pitman, with newly installed Lenny Lawrence at his side, opted for an initial 3-5-2 formation with Townsend, Rose and Kovacs at the back. The midfield lined up with Heath and Purdie as wing-backs and Featherstone, McQuilkin and the slightly forward Bauza as a central triangle. Fleetwood and Manset completed the team with Kenny Lunt and Colbeck both consigned to the bench. The Bulls opened by far the brighter with some neat passing football and the Beast got an early shot off that went wide of the keepers left hand post when Bauza was in open space to his right. Rob Purdie was prominent in the opening moves and it was his deflected shot that cannoned off the crossbar following an interchange with Featherstone and Manset. Featherstone laced one high over the bar and when Fleetwood ‘s shot was handled, Quilks curled the free-kick over from 22 yards. The Bulls continued to boss the proceedings and Fleetwood combined with Manset again to provide an opening for the overlapping Joe Heath but his cross shot whistled past the far post with Nikki Bull scrambling to recover his ground. At the other end, Bloomfield warmed the hands of Bartlett with a snap shot before Purdie was forced to retire with what looked like a recurrence of his hamstring problem just before the half hour and was replaced by Matt Lund. Manset worked his way down the left before delivering a low driven cross but Fleetwood’s sliding contact unluckily drifted a foot wide before a similar move at the other end saw the ball travel the full width of the pitch and out for a throw. Bauza fed Fleetwood but the Newent man’s driven cross was hacked away by Winfield for a fruitless corner. Bauza was upended by Leon Johnson but Quilks’ dead ball effort again cleared the bar from just outside the box before Fleetwood’s hard work was rewarded with another corner on the right. This time, Quilks found the head of Manset but his glancing contact sent the ball agonisingly just beyond the back post. A rare Wycome corner on the right was cleared upfield by Manset but soon returned as it was driven hard and low across the edge of The Bulls’ penalty area to where former QPR player Gareth Ainsworth was on hand, and unmarked, to volley a low shot across Bartlett and into the far corner of the net giving the hosts a somewhat undeserved half time lead. United earned an early free kick on the right when Fleetwood was bundled over as he scurried towards goal but the delivered cross pinged about in the box before being hoofed away without the goalkeeper being troubled. Ainsworth duped the officials into awarding a free kick when he played the old routine of knocking the ball too far in front of himself and then running into the back of his marker and collapsing to the ground. You really would think that officials would be wise to that one by now. Then, as The Bulls attacked again, Fleetwood’s cross-field ball found Manset who checked inside before bring the first save of real note from Nikki Bull. Ainsworth lifted an attempt high over the bar and Bartlett collected a weak shot from Winfield following a half cleared corner as Wycombe, for the first time, really started to show some control of the game. On sixty-three minutes, Fleets was replaced by Colbeck as Pitman looked to freshen things up and return to a 4-4-2 formation with Rose moving to right back and Colbeck taking his customary position on the wing. A brace of corners for either side produced very little and both Manset and Bauza had breaks halted by the assistant’s upraised flag before Kenny Lunt joined the fray with sixteen minutes remaining at the expense of Featherstone. The change brought a composure and awareness that had been lacking in the second period as Lunt started to spread the play and make space for some telling forward passes. Manset spurned a great opportunity when clean through but Bull thwarted his attempt to round the keeper when a direct shot might have been a better option. Then in the seventy-ninth minute Hereford got a deserved equaliser. Lunt and McQuilkin combined in midfield before the ball was fed wide to Colbeck who quickly made ground on the right and delivered a hard, low cross which The Beast hammered into the corner of the net from the edge of the box. Filled with the confidence that a goal brings, The Bulls went searching for a winner and Bauza, Lunt, Colbeck and Manset all tried their luck without the desired result. Then, as the game looked to be heading for a draw, Ben Strevens eighty-seventh minute strike provided the sickening finale. Stuart Beaven got by Heath on the outside and pulled the ball back from the byeline to find Strevens on the edge of the six-yard box to force home the late winner. Many of the 150 odd Bulls Fans out of the total of 3792 were still shaking their heads in disbelief as they left the Ground. Wycombe: - Bull, Sandell, Winfield, Johnson, Westwood, Ainsworth, Bloomfield, Betsy, Lewis, Strevens, Beaven, Subs unused, Arnold, Foster, Bennett, McCoy, Murtagh, Harris, McClure. Bulls: - Bartlett, Townsend, Rose, Kovacs, Heath, Purdie (Lund 29), McQuilkin, Featherstone (Lunt 74), Bauza, Fleetwood (Colbeck 64), Manset. Subs unused, Heister, Stratford, Weir, Canham. For all their first half possession and good football, it was not until the second period that former Shots stopper Nikki Bull was forced into making a real save. Most Bulls efforts were either high or wide and while defensive frailties will lead to conceding goals, one thing is for sure…the ball doesn’t go into the opponents net if it ain’t on target. The match was played in a good spirit and the playing surface, although a little greasy, was good. Next up is the scheduled but maybe doubtful match against The Cobblers. Ryan Green is due back but I fear we might have seen the last of Rob Purdie for a few games. Send three and fourpence, going to a dance! While pleased to get all the points at Adams Park this afternoon Wycombe manager Gary Waddock admitted it wasn't the easiest victory. "We won ugly," admitted Waddock. "We didn't play well, which you can put down to a number of things. "But Hereford played well - we had heard before game that, while they were bottom of the table, they possibly did not deserve to be there with the way that they had been playing. "They will pick up points if they continue to play like that. They were the better side. "When you are down that end of the table, as we know from last season, you don't get any luck. "But it is all about winning and picking up three points, whatever way you get them. Of course we would like to have played better but we will pick up the newspaper in the morning and see that we have won a football match and got three points." In his post match interview at Adams Park Hereford United manager Jamie Pitman said he felt that Rob Purdie's hamstring injury during the first half disrupted the Bulls. "He's had a bit of a tight hamstring for a few days," Pitman told BBC Hereford and Worcester. "He tried to continue with it but obviously it's gone again today which is a big disappointment. "He looked good and maybe when he came off it disrupted us a little bit." Of the game itself Pitman seemed reasonably pleased with the performance overall but was disappointed to be one nil down at half-time. "We changed a few things second half and got our goal but we haven't been able to see the game out. "If we can't see the game out we're going to be in trouble every week. "Manset took his goal well. Good to see him getting a goal but he needs to take his opportunities when they come around." Pitman was asked about the chances of playing at Edgar Street on Tuesday. "We've still got snow on the pitch. There's an inspection tomorrow at 11am. "As it looks at the moment it's going to be very difficult to get it on." Here are the main stats from Adams Park where Wycombe defeated Hereford United 2-1. A late Ben Strevens goal stopped the Bulls getting a much deserved point at Adams Park today. Mathieu Manset's equaliser to Gareth Ainsworth's opener seemed to have earned the Bulls a point, but former Bulls target Strevens struck to leave the Bulls pointless after largely dominating the game. Port Vale have given the go-ahead for manager Micky Adams to speak to Sheff Utd about their vacant role. In his 18 months at Vale Park Adams has won nearly half of his 81 games. Oldham have issued a 'desperate plea' for fans to help clear their Boundary Park pitch of snow tomorrow to help there lucrative derby match with Rochdale to go ahead. The club have already lost today's game with Carlisle and can ill-afford another postponement. Plymouth executive director Keith Todd is to leave the club on Jan 1st as part of their cost-cutting measures. Further departures from the management are expected. Notts County have released striker Luke Rodgers by mutual consent. The former Shrewsbury man has played just five times this term after scoring 13 last season. He failed to clinch a move to the MLS in the summer after failing visa checks. Wycombe Wanderers have confirmed (9.30am) that this afternoon's game against Hereford United will go ahead. For those around Herefordshire who are unable to watch the game in person there will be full match commentary on 94.7FM with BBC Hereford and Worcester. And for anyone who subscribes to Bulls Player, there will also be commentary. Meanwhile just one other match is likely to go ahead in League Two - that's the game at Aldershot where Gillingham are the visitors. UPDATE 12 noon: After a pitch inspection this game is now off. As at 7.30am this morning this afternoon's game between Wycombe Wanderers and Hereford United is on. The temperatures dropped to -3C close to Adams Park earlier this morning but are forecast to rise a degree or so by this afternoon and it should be sunny. Contrast the -3C around Wycombe with the -16C recorded at Credenhill outside Hereford at 6am this morning. The implication is that there is bound to be some doubt that Tuesday's game at Edgar Street against Northampton can go ahead. April sees Simon Davey installed as manager at Darlington, with his first home game against the Bulls. On the pitch the Bulls win a third straight game with a 2-1 win over Barnet before beating the Quakers 1-0 to put the Bulls safe from relegation. Reserve keeper Chris Adamson is involved in a car crash that effectively ends his Bulls career. The four match winning run ends when Grimsby keep up their fight for survival with a 1-0 win at Edgar Street, before Bournemouth win 2-1 at Dean Court. The Bulls get planning approval and funding for the Blackfriars End, and within a week Graham Turner puts his shares up for sale. Wins against Accrington and Rochdale keep the Bulls safe, while Shrewsbury announce the sacking of Paul Simpson. May opens with the Bulls losing at Dagenham in their penultimate League match before downing Rotherham 3-0 in Graham Turner's final match in charge. Another club veteran announced to be leaving is safety officer Len Dykes, while Colin Addison turns 70. The Bulls release eight players including Sam Gwynne, while Marc Pugh rejects a two year deal amid reports of a move to Bournemouth, Leeds, or Rochdale. Graham Turner says he has a preferred bidder for his shares, with former Shrewsbury and Macclesfield man Rob Bickerton claimed to be interested. June sees Graham Turner and Joan Fennessey sweep out of the building to be replaced by David Keyte and Tim Russon. They hit the ground running already in posession of a three man shortlist for the new manager, but before the seat is filled Turner resurfaces at Shrewsbury. Rumours surface from Darlington that their manager is the man to be the Bulls new boss and, after a delay as the Quakers board vent their spleens, Davey is duly appointed on a two year deal. First signing for the new man is Janos Kovacs. There are still some spaces available on the HUISA coach to Wycombe on Boxing Day. Fans wishing to travel are advised to turn up at Radford’s in time for a 10.30 departure. Fare is £15 (£17 non-members). This is a small reminder to take a minute or two out from your festive celebrations to predict for tomorrow's match at Wycombe Wanderers. Entry is simple. Send in your final score and attendance predictions to bullsnewspredictions@hotmail.co.uk. Remember to include your chosen username. I'd just like to take this opportunity to wish all predictors a very happy Christmas and thank you all for your continued support of the Prediction League. Hereford United will hold a pitch inspection at Edgar Street on Monday morning at 11am to see if Tuesday's planned game against Northampton can go ahead. It's been a difficult week for Hereford United players. With several living out of the area, poor road conditions have prevented all the squad getting together for training. However the break has given players with injuries more time to recover from them and manager Jamie Pitman has told BBC Hereford and Worcester that as far as he can tell he will have a strong squad available for Sunday's game at Wycombe. "This period has given us a rest period and a period when players are able to get fit again," said Pitman. "Hopefully we'll be pretty much at full strength, and able to go into the game in good spirits. "Everyone is fit, we've just got the long-term injuries of Ryan Valentine and Dan Connor. "But every time I've said that something has always happened so I'm not going to count my chickens yet." Adams Park, home of The Chairboys, is a more than decent League 2 venue, which is shared with Wasps Rugby Club and is dominated by the impressive Frank Adams Stand opposite The Seymour Taylor main stand. The home end is the only true terracing whereas visiting fans are housed in the Dreams Stand, which is a single, tiered all seated affair with ends that are closed to help keep the wind out. The home fans, stewards and staff at Wycombe are welcoming which makes a visit to Adams Park a pleasant experience. The pitch benefits from having under soil heating which should ensure a decent playing surface. Admission is believed to be £17 for adults, £15 for seniors, £14 for students (NUS Card) and £6 for U16’s. By Car, you have a choice of M5, M42 and M40 or going via Gloucester, Birdlip and then follow signs for Oxford then M40. Leave at Junction 4 (High Wycombe A4010). Entering Wycombe, continue on the A4010 following signs for Aylesbury. At a mini-roundabout turn left into Lane End Road (sign Wycombe FC). At mini-roundabout turn right into Hillbottom Road. Adams Park will be seen in front of you. There is a large (ish) Car Park at the ground (£3) otherwise; it may be possible to park on one of the many forecourts of the industrial units in Hillbottom Road. Getting out of the Club Car Park after the game is reputed to take quite a while. Distance is between 110 and 120 depending on route. Allow two and a half hours. Post Code is HP12 4HJ. HUISA – Departs from Radford’s at 10.30 am with a fare of £15 (non-members £17). FUNBUS – Departs Radford’s at 9.30 with an expected fare of £15. REFRESHMENTS – there is a well-stocked kiosk in the visitors end and the Wycombe Social Club usually admits well-behaved visiting fans. ALEHOUSES – The Bell at 5 Frogmoor (HP13 5DQ, The Bird in Hand at 81 West Wycombe Road (HP11 2LR) and The Belle Vue at 45 Gordon Road (HP13 6EQ) all seem to fit the bill in terms of decent beer and reasonably priced food. January began much like the year is ending - with a pitch inspection. The opening fixture at home to Crewe was called off due to a frozen pitch, as were the subsequent games with Cheltenham and Morecambe. Inbetween the postponements came the regeneration of the Official Site into a FLi branded site. When the action finally starts just 1,367 watch the Bulls draw with Crewe, while defeats at Bury and Port Vale follow prompting a £10,000 bid for Tony James. It is eventually rejected, with James signing a new deal at Burton. February sees the Bulls beat Lincoln 2-0 to earn their first win of the year, and then follow it up with a 1-0 victory over Torquay. A loss at Shrewsbury followed before even a dog was good enough to evade a poor Aldershot defence in a 2-0 home win. A 4-3 home loss to Burton sees Tony James score the winner, while Northampton beat the Bulls in front of a record low crowd of 1,266. A hammering at Notts County follows before a resolute performance sees the Bulls win at Whaddon Road. March sees the Bulls lose to Macclesfield in a game overshadowed by the death of Keith Alexander, with John Trewick losing his job shortly afterwards. The first application for the Manager's job comes from Shaun Teale. Graham Turner takes over but his first act is to submit a planning application for the Blackfriars End. Two straight losses greet the veteran boss' return - and another record low attendance - before beating Bradford 2-0. Kenny Lunt ends speculation about his future by waiving a contract clause that guarantees him another year at Edgar Street, allowing him to play again, then helps the Bulls to their first double of the season over Chesterfield. As at noon on Christmas Eve no pitch inspection is expected at Adams Park in advance of the Boxing Day game between Wycome and Hereford United. The 3pm Boxing Day clash with Hereford looks set to survive the icy weather thanks to the undersoil heating at Adams Park. The pitch is in good condition and the roads leading to the stadium are clear. However, the club would like to advise those fans planning on walking to the ground to take extreme care as the paths around Adams Park remain icy. Although temperatures are set to remain very low, no further falls of snow are forecast and no pitch inspection is planned at this stage. It is believed that the park and ride bus services will operate as normal on Boxing Day and car parks along Hillbottom Road are expected to be open. However, it has proved impossible to clear the deep snow lying on the upper car park at Adams Park and this will be closed. "We're pleased the club has made such a big effort to get the Hereford game played because the players are really looking forward to it after a couple of recent postponements," said manager Gary Waddock. The weather forecasts for the Bulls next two games are looking brighter. For the Boxing Day trip to Wycombe temperatures over the next two days are expected to be higher than earlier thought but will remain sub-zero until lunchtime on the day. With the pitch heated, the only concern is the local conditions to get to the ground and the Chairboys are already warning that severely limited parking will be available at the ground due to snow. Their advice is to use the park and ride service that is expected to operate as normal. The home match against Northampton on the 28th is now being predicted to have a 7c temperature on matchday, but sleet, light snow, and heavy overnight rain is all forecast for the 24 hours beforehand. However the pitch will still have to survive a freeze that will beat the frost covers' -5c protection from around 6pm tonight until early morning on Boxing Day. Hereford United may be bottom of League Two but Wycombe Wanderers manager Gary Waddock feels they must not be under-estimated. The two clubs are due to meet at Adams Park on Boxing Day. "They are bottom of the table but people will be surprised how well they have performed," Waddock told the Buckingham Examiner. "We will not underestimate them at all and the reports I have had say they are playing better than their league position suggests. "They are down there and looking to claw themselves up to safety and that makes it a tough game. They will fight for everything." Waddock has noted that the Bulls have won three matches away from home. "Maybe they relax more away from home and the expectation is not so great and that has helped them get results. "It will important to start with a high tempo and to cause them problems early to put them on the back foot." Meanwhile Hereford United manager Jamie Pitman has said that preparing for matches isn't easy at present with pitches frozen. "We just have to get on with things as best we can in the knowledge that everyone else is in the same boat," said Pitman as reported by the Worcester News. "When we finally get the chance to get back out on the pitch, we have to hope the players will be champing at the bit to get back into the action. "We have been told to prepare as normal for the game at Wycombe on Boxing Day as, because Wasps play at Adams Park, they have undersoil heating there. "Of course, getting there is another matter and, when people’s lives are at risk travelling, then the authorities will have to take everything into account. "At the best of times, Christmas is a difficult period for footballers but you have to rely on them being professional and taking care of themselves." In his BBC blog on their website, Matt Slater says Plymouth need around £4million in total just to complete the season. They were hit with another court date for another unpaid tax bill yesterday, and manager Peter Reid had to pay a £1,200 heating bill out of his own pocket to stop the office radiators being switched off. Sheff Weds have had to cancel both their Christmas matches due to a series of burst pipes at Hillsborough. They say they cannot perform repairs until the temperature improves. Former Bulls loanee Lateef Elford-Alliyu has extended his loan at Tranmere by another two weeks. He has played in both their games during his original months loan. The Welsh Premier have agreed to delay the split of their league by three weeks, and will revise fixtures for the remainder of the season shortly. Burton have confirmed receiving more than one bid for striker Shaun Harrad. One of them is from Northampton, who announced they had made a bid for an unnamed striker earlier in the week, with the other - higher bid - coming from Crawley. The 10 goal striker is out of contract in the summer and could leave on a free. Port Vale have confirmed they have received a formal bid from businessman Mo Chaudry. Under current club rules no one person can own more than 24.9% of the club, but Chaudry wants a controlling stake. Lincoln say they will hand manager Steve Tilson any prize money they earn from a FA cup run, but if they don't progress against the Bulls his cupboard is likely to be bare. Richard O'Kelly won't be on his way to Sheff Utd after Sean O'Driscoll turned down the move. The Blades are said to be now targetting Brentford boss Andy Scott, who started his career at Bramall Lane. Wrexham are the latest club to warn of financial problems if their home matches keep on getting called off. They claim to have lost up to £40,000 from last week's postponement of a game against Crawley thanks to losing corporate bookings for 120 people and expect a similar loss if their Boxing Day game also goes. Kidderminster's hearing into their misconduct charge has been rescheduled to Jan 6th due to the weather. The story of how Cliff Williams and a Malvern camera club were chosen to shoot Hereford United's 2011 calender has been revealed. Williams recently sent the club an e-mail on behalf of the Beacon Camera Club on the off chance that they might be considered for the task. Hereford United vice-chairman Tim Russon replied and offered them the job. "He set us a brief for something completely different," Williams told the Malvern Gazette. "You have got to be a fan to be able to do it. To take it to the level that Tim wanted made it even more difficult waiting for the right opportunity. "It was great fun and a pleasure to do." The calendar is available from the Hereford United club shop for just £5.99. Williams also took the picture (our copy doesn't do it justice) on this year's Hereford United Christmas Card. It's a shot from the dressing room with the player's shirts and kit looking very tidy. Hereford United's technical director Lennie Lawrence has given a long interview to Richard Prime of the Hereford Times. In it he explains what his role at Edgar Street will be. "I’m not on the board, I’m here in purely a football capacity," he said. "Of course, I will talk to the board and advise them on recruitment and wages. "They seem to have a fairly good handle on that but I’m sure that I can have an input there. "Jamie is the manager, I will do what I did with Paul Trollope and where there are gaps I will fill them in. For example, at Bristol Paul did two-thirds of the coaching and I did a third of it. "I will sit in the dug-out with Jamie, as regards selection, tactics and substitutions then he will have the last say but I will obviously be quite hands-on and I will be getting my opinion in and we’ll see where we go from there. "He is the manager, he picks the team and he decides on the personnel and the way we play but I will have an input in that and in the training as well and in the management issues." Hereford United will play Macclesfield on Tuesday February 8th with a 7.45pm kick-off. The game was originally meant to have been played last Saturday but was postponed as the Edgar Street pitch was frozen. Meanwhile all four League Two matches that had pitch inspections scheduled for today have been called off. And there will be an inspection at Port Vale tomorrow ahead of their game with Lincoln. Whilst there is no pitch inspection currently planned at Wycombe in advance of the Boxing Day match against Hereford United, several other clubs have already announced inspections. Meanwhile temperatures at Allensmore, a few miles south of Hereford, fell to -14C last night. The Welsh Premier are to propose a two year trial of switching to a summer schedule after a string of postponements left the league's schedule in tatters. So bad is the current Welsh weather that a Tuesday meeting to decide on the immediate future of the current season was cancelled as board members could not travel. Former Bulls striker Gary Hooper is to miss six weeks with a severe ankle strain after being stretchered off during last night's Celtic match. He was originally believed to have broken his leg. Oldham have warned that they will face severe cashflow problems if their next two matches are postponed - as current weather forecasts suggest. Chief Executive Alan Hardy says they will stuggle to pay the wage bill without the gate receipts. Northampton chairman Dennis Cardoza says the club have tabled a written offer for an unnamed League Two striker. Two players for Irish side Bohemians have told the club they will seek winding up proceedings against the side if they are not paid outstanding wages in the next three weeks. The financially stricken side have recently offered pay-offs to a number of contracted players in a bid to cut the wage bill, but don't expect to have the money until mid-January. Northwich are to finally receive their FA Cup prize money from last season. The FA had withheld payment due to the club's financial state that saw them demoted from the Conference, but they have now complied with the FA's requirements. Yeovil have posted a profit for last season of £21,000 after losing nearly £1million the year before. They cut operating costs by £500,000. Hartlepool have withdrawn the winding up proceedings against Billingham Town. The monkey hangers say they have found a benefactor that will cover the £10,000 debt. Shrewsbury midfielder Benjamin Van Den Broek will be out until February after keyhole surgery to clean up a knee injury. Darlington have released Keith Gillespie after just three games as they haven't got time to get him match fit. While the Boxing Day trip to Wycombe will benefit from undersoil heating at Adams Park, two days later the Bulls host a match without such a benefit. Forecasted temperatures have been dropping all week and, while there is no new snow currently predicted for Hereford, overnight temperatures are expected to drop to -10c in the run up to the match. The Met Office forecasts that Christmas Eve is expected to drop to -9c, with Christmas Day expected to not rise above -7c all day and dropping into double digits at night. While frost covers remain in place at Edgar Street they only protect down to -5c, with the Macclesfield game postponed after -7c overnight temperatures. Without a significant thaw the game on Monday afternoon is likely to be another casualty of the weather. Hereford United manager Jamie Pitman has said that some funds will be available to strengthen the squad in the New Year. "Obviously with Lennie (Lawrence, technical director) coming in we have to review the squad again as a whole and cast an opinion between ourselves what we need and if we need anything, or if we've got enough here," said Pitman as reported by Sporting Life. "We have got a fair bit of ability at the football club but obviously we want to try and look to strengthen with the position we're in." "Yes, there's some money there to bring people in, it's just how far we stretch it. It's key that we stay in the league and if we have to stretch it a little bit to do that then that's what we're going to have to try to do because it's worse getting relegated out of the Football League than spending a little bit of money I would imagine." Whilst Hereford's recent form isn't very good, many supporters who watched the last away game at Bradford City felt the Bulls deserved a point from the game. So are some bookies being generous or realistic to offer 11/2 for a Hereford win at Wycombe on Boxing Day? The better price of 11/2 for a Hereford win is currently on offer at Betfred and Victor Chandler. Dean Whitestone from Northamptonshire is set to referee at Wycombe on Boxing Day when Hereford United are due to be the visitors. Whitestone is no stranger to the Bulls as he has been in charge of several of their games in recent seasons. The last time was at Burton just over a year ago. The Brewers won the game 3-2 with Leon Constantine scoring both goals for the Bulls. No player was carded. To date this season Whitestone has refereed 19 games in which he has given out 54 yellow and 6 red cards. Stockport have parted company with striker Barry Conlon by mutual consent a week after he was convicted of drink-driving for a second time. Kidderminster's bidder Chris Swan offered to buy the club for £1, but refused to offer any repayment on director loans. The deal was scuppered when David Reynolds and Mark Serrell asked for the £125,000 they put into the club in November. Mansfield have named caretaker boss Duncan Russell as their new manager until the end of the season. He was the outsider of four on the club's shortlist but won two of his three games in temporary charge. Plymouth fans have raised over £2,000 to aid the club's unpaid staff. The supporters trust organised a bucket collection at a recent match. Port Vale are to tour the US each pre-season for the next three years in the hope of attracting investment. They will play a three game tour in Seattle and Canada next summer before visiting Florida and California over the next two summers. The Valiants have also announced a price rise of 50p across the board to cover the VAT increase. Macclesfield's hopes of a new stadium have been boosted after the local council green lit the development that the stadium is to be part of. Oxford boss Chris Wilder expects all five of his out on loan players to leave the club in January. One, Dannie Bulman, has already agreed a deal with his loan club. The U's have signed defender Laurence Gaughan on a deal until the end of the season. The 20 year old free agent was playing in the US. Cheltenham boss Mark Yates and assistant Neil Howarth have agreed a one year extension to their current deals that were due to expire at the end of the season. Bradford are to extend the deal of midfielder Luke Dean past it's current January expiry until the player is fit after breaking his leg. Accrington hope to agree a deal to use Blackburn rugby club's training ground as their new base after using a variety of temporary venues. Peterboro have given Aaron McLean permission to speak to Hull after the Tiger had a bid rejected by Swindon for Charlie Austin. Rotherham say their new ground will be all-seater despite fan requests for a standing area. The Conference have relaxed their rules to allow clubs to print smaller programmes due to the high chance of postponements. Current rules state a full programme must be produced for each match, but clubs can now issue a smaller eight page design over the festive period to cut costs. Burton say they have only had half their squad in training in recent days due to the snow. Even manager Paul Peschisolido cannot get to their Derby training base from his Solihull home. Wycome Wanderers appear very hopeful that Boxing Day's League Two game against Hereford United will go ahead. They report that 'recent adverse weather conditions have caused wholesale postponements across the country, but the Blues have taken every precaution to prepare the playing surface, stands and surrounding areas for the visit of the Bulls. All areas of the stadium are expected to be open and the undersoil heating will be deployed in plenty of time to ensure that the pitch is playable. No pitch inspection is currently planned and whilst temperatures in Buckinghamshire are forecast to remain low for the next few days, no further snow is expected. Current Met Office forecasts suggest the Bulls' trip to Wycombe on Boxing Day may be in some doubt off the pitch rather than on it. Neither the Met Office nor local weather experts reckon that the temperature will rise significantly above freezing before Sunday, expecting overnight temperatures to dip to -6c and -8c on the two days before the game. While their Adams Park pitch is heated, off-field conditions may cause a postponement on health and safety grounds. Wasps, co-tenants at Adams Park, staged their match on the ground at the weekend only after asking fans to stay away on safety grounds, costing them tens of thousands of pounds in lost revenue. They asked for only fans that could safely walk to the stadium to come, seeing the attendance drop to 1,200, with local car parks and public transport limited by the freezing conditions. The Bulls could face a back-to-back FA Cup double bill after a new date for the Lincoln replay was announced. The trip to Sincil Bank, three times postponed, is now on January 8th - Third Round day - with a 3pm kick-off. The victors will then take on Wycombe at Adams Park on the following Tuesday (Jan 11th, 7.45pm). Wycombe will play their scheduled League fixture against Crewe on the 8th, a match originally postponed when the Chairboys qualified for the Third Round. Former Bulls coach Richard O'Kelly could be moving to Bramall Lane with managerial partner Sean O'Driscoll. O'Driscoll has been given permission by Doncaster to speak to Sheff Utd over their vacant managerial role. Donny chief John Ryan expects O'Driscoll to stay, but is reported to be asking £500,000 for the former Bournemouth man if he chooses to go. Doncaster are just four points short of the Championship play-offs after steady improvement under O'Driscoll and O'Kelly. The pair united when O'Kelly left Edgar Street for Dean Court in 2004, moving on to the new Keepmoat Stadium in 2006 and winning promotion 18 months later. Over the last two seasons they have achieved comfortable mid-table positions with the second lowest attendances in the division. Sven-Goran Eriksson felt it did nothing for the game’s image, whilst Roy Keane naturally held a different view after Ipswich blew Leicester apart in a Portman Road blizzard last weekend. An entertaining game redolent of times past, played with an orange ball and blue lines took me back to football in the early sixties. I can recall being present at Highbury when a half-time snowstorm halted a match between Arsenal and Sheffield Wednesday. Once coloured lines had been painted over the lying snow, the game resumed. This pales into insignificance compared to the efforts required to get any football at all to be played during the winter of 1962-3. At about this time, my local side, Letchworth Town, stalwarts of the Corinthian and Athenian Leagues, but now sadly defunct, had been drawn to play Harlow Town in the FA Amateur Cup. Those ancient enough to remember this season will realise that the chance of this fixture, or almost any other, taking place as per schedule were very slim as the weather tightened its grip over the country for an extraordinary two months. However, Dad and I, together with a handful of other lunatics, spent the entire morning clearing the playing area of deep snow, and the referee arrived for a lunchtime inspection. Our chairman, “Nick”, at his own expense, then arranged for a lorry-load of salt to be delivered- I knew already that he was rich, as he drove a Jag and smoked cigars. In a triumph of pity over common sense, the ref agreed that the match could start. Ninety minutes of huffing and puffing on ice culminated in the inevitable draw, and Dad and I piled into his Ford Anglia two weeks later for the replay (another stalemate, of course). This is written on a day when Hereford’s FA Cup Third round replay at Lincoln City has been postponed for the third time. Prospects of a resumption seem bleak. However, there remains some way to go before the inevitable fixture congestion comes even close to the chaos of 62/63. I stand to be corrected, of course, but I think that the record number of postponements of any professional game in England still stands at FIFTEEN. This is the number of times that Coventry City were prevented from playing their third round tie at…………..you guessed it, LINCOLN CITY. Bournemouth say they are not currently under a transfer embargo, after the Football League blocked attempts to sign a loan player before the window shut. The FL have allowed them to extend the loan of striker Nicholas Bignall, and the club may spend a small transfer fee in the January window if manager Eddie Howe wants to. Torquay boss Paul Buckle is claimed to be in the running for the vacant Bristol Rovers job. Wycombe want to extend the loan of midfielder Stuart Lewis from Dagenham for a second month. His current deal expires tomorrow and he will not currently be eligible for the Boxing Day visit of the Bulls. Lincoln have released midfielder Adifane Noussoura by mutual consent. He was signed by former boss Chris Sutton but never made a first team appearance. Northampton are hoping for a January windfall from former midfielder Bradley Johnson being chased by several sides. The current Leeds man earned them £250,000 when they sold him two years ago, and he is being chased by several Premier League sides. A strange case at Hartlepool, who now want to postpone their Thursday court day to wind up Billingham Town, with the NPL minnows wanting their day in court 'to fight for the life of this club'. Peterboro wheeler-dealer Barry Fry says he has let the club down with his transfer dealing as the lack of finances in the lower leagues has left the Posh with eight unwanted players on their wage bill. Fry says that Southend backed out of signing Josh Simpson on a permanent basis, and that former Shrewsbury and Rotherham loanee Exodus Geoghaghon was due to leave permanently until his current injury. Gillingham hope to offer midfielder Danny Spiller a new contract to stop him taking up a move to the MLS. Spiller, who has made 19 appearances since joining in the summer, has an offer to join Chicago Fire in January so only signed a deal for the first half of the season. Crewe will be without goalkeeper Steve Phillips until the New Year, while striker Calvin Zola is not expected to leave the club in the January window as he is not fit after two months out. The Welsh Premier is proposing to delay their first league split. The move, similar to the way the Scottish leagues act, is due to take place in three weeks but clubs were supposed to have played 22 games by then. Some have played as little as 12 due to postponements, with Llanelli not playing in the league in over six weeks. Former Bulls striker Bradley Hudson-Odoi joined Conf South side Thurrock. The former Fulham man was released from Edgar Street after one disappointing season, and had been plying his trade in Division One of the Ryman League so far this season for Grays after they were demoted from the Conference on financial grounds. Bradford's transfer listed defender Zesh Rehman is to join Thailand side Muangthong United in the January transfer window. The Pakistani international will join the current Thai champions after falling out with boss Peter Taylor. Oxford midfielder Dannie Bulman has agreed a permanent switch to Crawley after spending the last three months there on loan. Port Vale's board have changed their mind and have agreed to consider Mo Chaudry's offer for the club after fans criticised their earlier decision. Chaudry intends to invest up to £3million into the club if he secures sufficient shares. Atherstone Town are to resign from the Zamaretto League at the end of the season. They will drop to the Midland Alliance, where Westfields currently play, due to the costs of running a side in the higher division. Gillingham have released forward Bruce Inkango after the expiry of his three month contract. The Frenchman is expected to return to his homeland after starting just one game for the Gills. Kidderminster have announced that businessman Chris Swan has withdrawn his bid for the club after the club's board made a counter offer to him. The PFA have confirmed that they have made a loan to Plymouth in order for the League One side to cover their player wages for November. Tomorrow's FA Cup replay between Lincoln City and Hereford United has been called off. Whilst no new date for the game has been released, it's thought likely that it will be held on January 8th, the date of the third round. With Hereford's FA Cup replay at Lincoln expected to be called off tomorrow, below is how the Football League ask clubs to deal with likely postponements. Football League Head of Communications, John Nagle, said, "Given the low temperatures we are currently experiencing it is very likely that we'll see a number of games being called off in the days ahead. Therefore, it is important that clubs do everything they can to prevent supporters making wasted journeys to postponed fixtures." • keep supporters informed of any changes to the status of the match through relevant news channels such as Radio Five Live, the Press Association and Club websites & SMS services. The League has also emphasised, once again, that whilst the responsibility for the initial action resides locally with the home team, no club may postpone a match by itself. Such a decision can only be taken by the match referee or The Football League. Of course, the unpredictability of the British weather may still lead to some matches being called off late in the day or even abandoned after they have begun. However, through the implementation of these procedures it is hoped that such cases can be kept to a minimum. HUISA have announced their plans for the Boxing Day trip to Wycombe. Departure is set for 10.30 from Radford’s and the fare will be £15 for members and £17 for non-members. Seats can be reserved through the Club office (08442 761939). Early booking is advised. Jamie Pitman has been talking to BBC Hereford and Worcester about events at Edgar Street this week which have seen the appointment of Lennie Lawrence as technical director and confirmation that Pitman will remain as manager for the rest of the season. "It's a great opportunity for me and something I couldn't turn down," said Pitman. "I'm very pleased they felt they were able to give me the job. "I haven't done any physio stuff since the second week of me taking over as care-taker manager. We've got someone in doing that. "The uncertainty has finished. Everyone knows I'm in charge until the end of the season which I'm very pleased about. "Hopefully the players are pleased as well because we've had a great response from them." Asked about the appointment of Lennie Lawrence as technical director, Pitman said it had been discussed for sometime. "As a group the chairman, myself and the coaching staff felt it was neccessary to get someone on board like Lennie with a wealth of experience on and off the field in things, media, contractual stuff, coaching which will hopefully help us going forward. "We just talked about it. His name has been in the hat for a while and he comes with a great reputation. There was no hesitation really. "I'm no way a finished article. Hopefully Lennie will keep me learning, keep guiding me in the right direction." The Bulls' trip to Aldershot on Monday January 3rd has been designated as a 'Kids for a Quid' match by the Shots. Today's match at the Recreation Ground was going to feature the promotion for both home and away fans, but the visit of Lincoln succumbed to the weather with heavy snowfall this morning. Bulls fans will now benefit with the offer being shifted to the New Year match according to a statement on the Shots' official site. The offer of £1 entry is open to all under-16s.